Leading Manufacturer of spray dryer heat exchanger and paddy drier heat exchanger from Coimbatore. 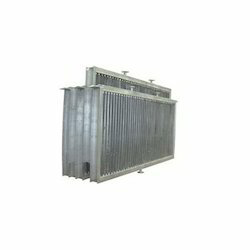 Spray Dryer Heat Exchanger offered comprise precision designed and functioning range of Spray Dryer heat exchangers that are supported by process unit coming with single piece welded designs. We make these available in stainless steel construction to provide for consistent as well as durable performance. Further, all process contact parts are made of SS – 316 that supports hygienic functioning as well as product durability. We are a leading Manufacturers & Exporters of Paddy Drier Heat Exchanger. We are offering wide range paddy drier heat exchanger for 12 tons, 16 tons, 24 tons, 32 tons, 40 tons. And we are using Aluminium extruded finned tubes for our heat exchangers. We are designing the heat exchanger with proper design. 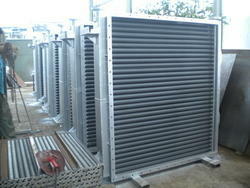 Looking for Spray Dryer Heat Exchanger ?